We’ve all been there: Asking people in the office for a referral. Googling “video producer in…” Scrolling through our Facebook “pro” groups. There’s now a better way. 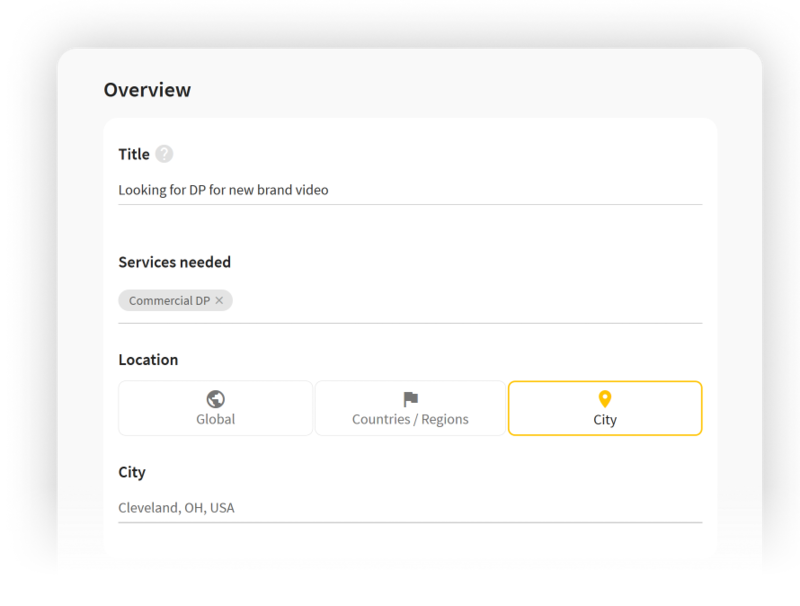 Simply post your video needs on Storyhunter, including your location, budget and timing. Our algorithm instantly matches you with the best available freelancers in our network and notifies them of your project. If they are interested, they will respond to you. Often in just a few hours. 30+ video services. 190+ countries. Hire for any video-related service. Anywhere. We offer any video-related service globally, from drone operators to 360-degree video shooters to editors to motion graphics animators. Whether you want to commission a production company in Jakarta or build out an entire crew in Rio de Janeiro or hire a DP in Timbuktu – we have you covered. 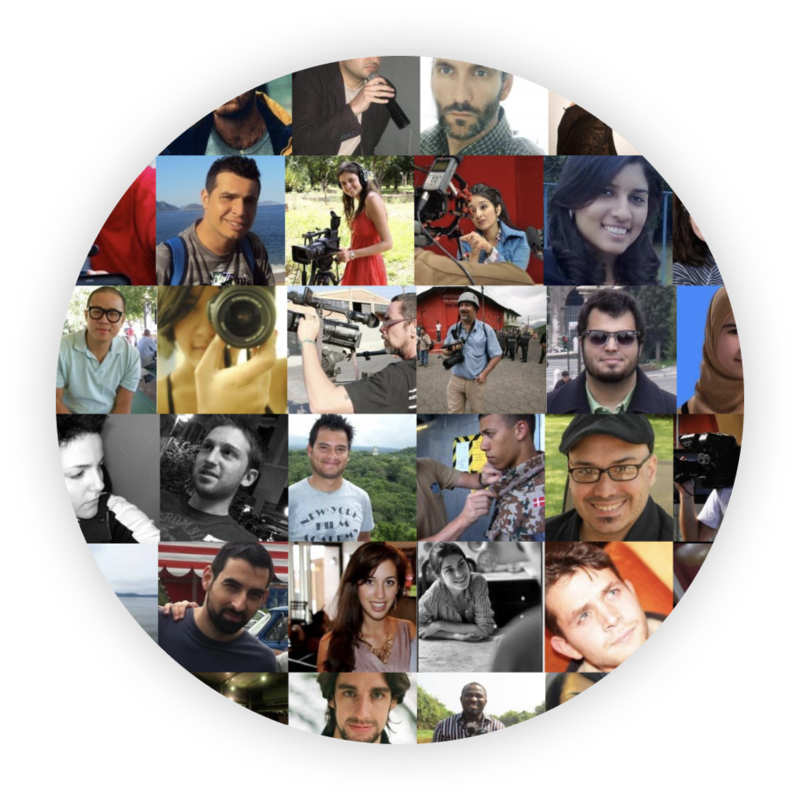 You can use the platform yourself, or hire our full-service production house, Storyhunter Studio, to handle it for you by enlisting our own elite squad of senior producers around the world. How do you know the freelancer you are hiring can provide the quality work you need? We individually vet every freelancer and production company on our platform. Plus, for each project carried out on Storyhunter, we collect reviews and ratings, from media companies and brands like you, that are added to each freelancer or production company’s portfolio. You can watch previous work, read biographical information, and feel confident you are hiring the right person or company. Do you have a general topic or theme in mind but need some help with the specific story ideas? Our Call-for-Pitches posting can help. 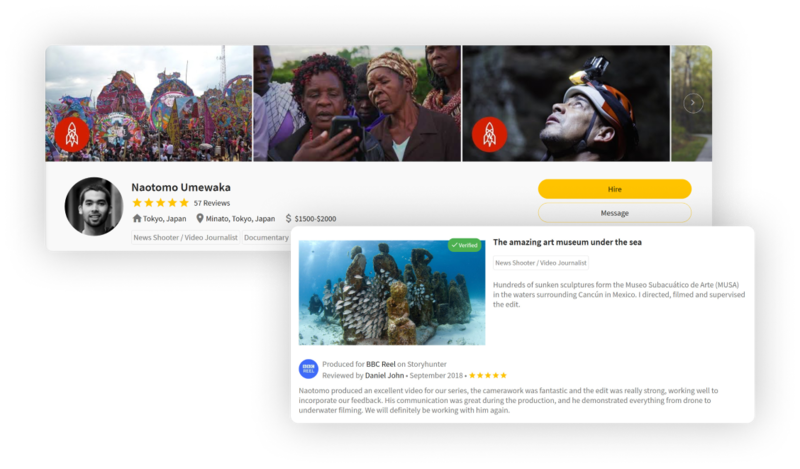 It’s kind of like an RFP for video ideas that you can do in one location, or all over the world. Create a posting describing what you’re looking for and freelancers will provide you with relevant, specific story ideas that they can also produce if you decide to greenlight them.